With 2019 set to be a significant year in the growth of airspace development, it is essential to have the strongest team to drive us forward. It’s been just a week since we announced the £9 million funding deal from Homes England to construct homes at five new sites across London, marking the start of a significant growth year for us, so we are delighted to announce two new senior appointments to the team. Simon Bridgen and Mark Kolcular join the Apex family and help us gear up for a stellar year ahead as airspace development becomes more recognised as a genuine solution to London’s housing shortage. 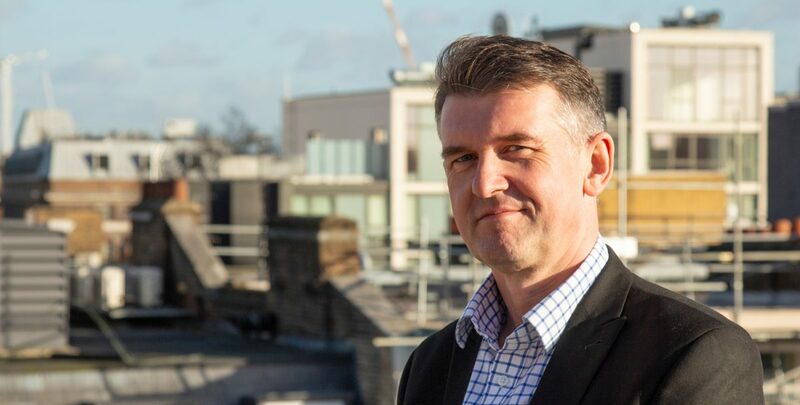 Simon joins from regeneration body Forward Swindon to fill the role of New Business Director and will focus on identifying London boroughs and housing associations with airspace opportunities across the capital and outlying suburbs. He brings with him a wealth of experience spanning more than 20 years in both the social and private development sectors, including senior roles at Spectrum Housing Group and Gleeson Homes & Regeneration. Mark Kolcular is now onboard as Senior Marketing Manager and will focus on defining and further strengthening the Apex brand as we enter a period of notable growth. Previously at multi award-winning and boutique developer Fruition Properties, where he oversaw all brand, marketing and communications, his wider experience includes senior marketing roles with leading private aviation firm Air Charter Service, and leading global real estate consultancy Knight Frank. Mark says: “The innovative vision of Apex Airspace can, without doubt, deliver change to London’s current housing situation.